In astrology, the sign that was rising over the eastern horizon at the time of your birth is your rising sign (or ascendant). For some, that rising sign is Taurus, an earth sign and the second sign of the Zodiac. Astrologers believe that Taurus rising individuals are usually reserved, matter-of-fact, slow to act, resourceful, serene, creative, and self-indulgent. They are also usually sturdy, big-boned or curvy, healthy, and robust. Rising signs can be good indicators of how you come across to others, especially with first impressions. If you were born when Taurus was rising, you probably come across as calm and capable. You are a great friend to have in a crisis since you always focus on practical solutions. Sometimes you can be matter-of-fact when addressing others and dealing with new experiences. You don't follow others' whims, but you will invest in a collaborative idea if you think it is promising. Taurus Rising is similar to Venus in the First House, which is associated with a sensual nature. Taurus Rising individuals are often drawn to pleasant aromas and fabrics with unique textures. They usually take special care with their appearance and grooming. 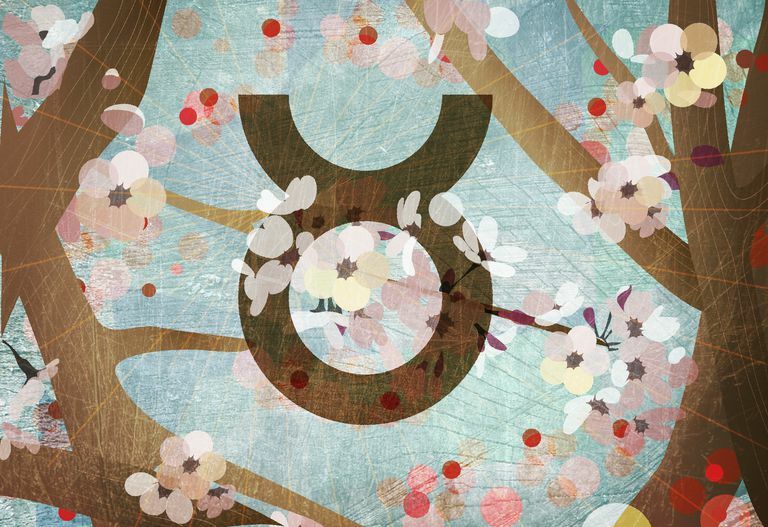 Taurus is believed to take the pulsing life of Aries and root it. As a rising sign, it gives you a desire for stability. You are earthy and mellow, which is attractive to others. There is a heavy density to your “person” that makes others see you as formidable and not to be messed with. When you're working on a substantial project, you will be quietly productive. This gift gives you the discipline to become skilled and knowledgeable in your chosen field. You may have artistic gifts or natural beauty. Taurus Rising individuals are sensual and physically affectionate. You like greeting close friends and family with a real hug, the kind of hug that helps people relax. However, you may not be very expressive in public, to the surprise of those you are intimate with. Your home reflects a love of creature comforts. Under the guise of "the builder" who is cultivating wealth from the ground up, you are keen to acquire quality things that are made to last. You are most likely focused on long-term financial stability. Taurus as a rising sign means you don't get breathless over new ideas, and that can disappoint your excitable companions. However, you are willing to listen and determine if a new idea has value. Your personal values are your compass in life, and you will thrive as long you stay true to them. You want to make the most of your natural talents, and if you don't apply yourself you will suffer from self-judgment. As a Taurus Rising, you are at risk of becoming lazy, stingy, and stuck in your ways. If you are not open to new experiences, you might miss valuable opportunities. Avoid staying in positions that give you too much stability, as they will not give you the challenges you need to grow. Your consistent nature makes you dependable, and co-workers know they can count on you. Having satisfying work is important, as is having a home that you can share with loved ones.